FeetPlus Chiropody and Podiatry Clinics are based across the South East of England. A team of caring & experienced chiropodist / podiatrists based at five lovely clinics to help you with your foot problems locally. We provide chiropody & podiatry care at clinics in Horsham, Henfield, Horley, Steyning & Rochester. You can find your local clinic on our locations map HERE. Our town centre based clinic in Horley is three years old in March next year, with two great clinics and a Footwear Solutions shoe store on-site. We are also pleased to announce that the Rochester clinic continues to go from strength to strength . Louise Herdman continues to care for the feet of Medway. 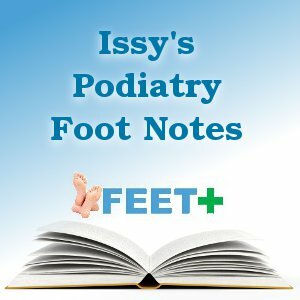 We can help with corns, nail cutting, verruca problems, plantar fasciitis & policeman’s heel pain, ingrowing toenails and custom orthotic arch supports are our areas of special interest. For an appointment or a chat with your chiropodist or podiatrist, call reception on either 01293 734229 (Horley) , 01634 914 065 (Rochester) or 01273 495106 (Henfield). All reception numbers will be able to help with appointments and queries for other locations too. Alternatively you can use our contact us page. Morning, afternoon and early evening appointments are available, allowing you to fit your appointment into your busy schedule. There is life after ankle pain. We can help.